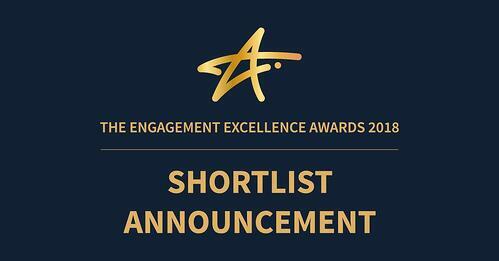 Announcing: Our 2018 Engagement Excellence Award Shortlist! All of our clients are so special to us, but when one (or more!) goes above and beyond their engagement call of duty, we like to give a little extra recognition. Every year, we host the Engagement Excellence Awards, a black-tie affair that celebrates the best of the best in employee engagement and gives our community of HR rebels a chance to learn from one another’s tales of employee engagement success. It’s always been one of my favourite events of the year to have the chance to celebrate our clients. Today, we’re announcing the Shortlist in categories like Best Recognition Strategy, Engagement Leader of the Year and Most Strategic Communications for Larger Organisations. All in all, 57 shortlist nominees have been announced, out of the more than 250 applications we received. Don’t forget to mark your calendars for the official Engagement Excellence Awards, where the winners will be revealed at Roundhouse, London on 9th October. Check out my recap of last year’s Engagement Excellence Awards to get a sneak peek at what others will be attending.